Today’s beer is special. Very special. 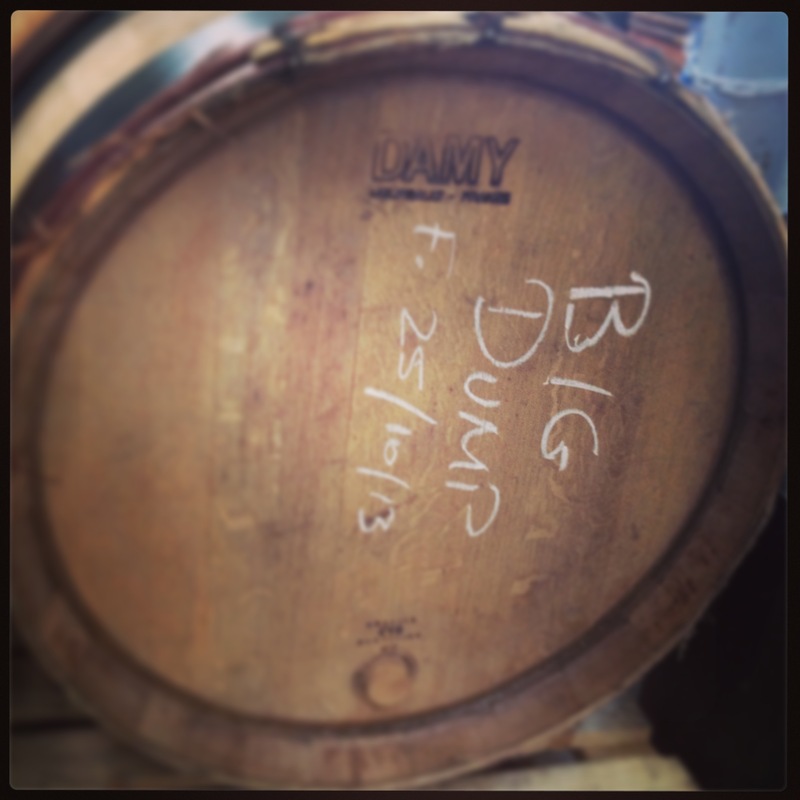 It’s special because I was at the brewery when it went into it’s red wine barrels for a long sleep. 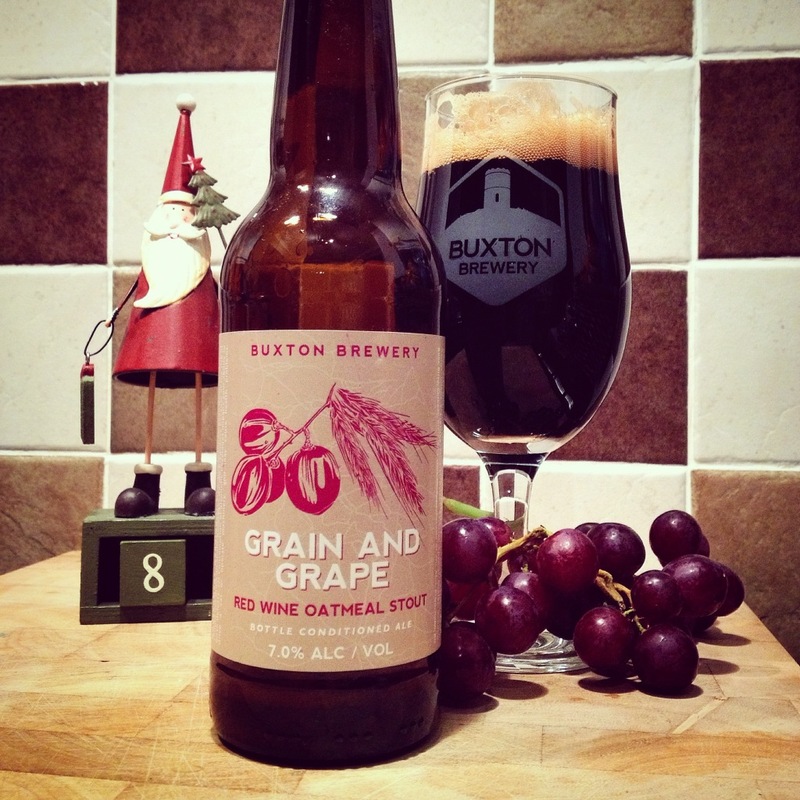 The Buxton/Rooie Dop/Oersoep collaboration ‘Grain & Grape’ originally started life as ‘Big Dump’ (which was obviously a working title). The proof of this is in the image below and also in much more detail in this great blog by Connor Murphy. Enough of that, what about the beer? On opening the aroma is all red wine and the unmistakable brettanomyces. But it’s that red wine – dark berries, almost soft and smooth on the aroma that come through the strongest. On the pour it’s lively, VERY lively and it pours a very dark brown, almost with a red hue to it. On the taste there is a sharp carbonation up front which instantly follows through with the dark berries and a hint of the red wine tannin that adds both bitterness and astringency as well as complexity to the flavours in the glass. As you near the middle of the mouthful, it begins to feel almost sour, while still being laced with the dark berries and fruit flavours. At the very end, there’s a flicker of the roasted flavour you’d normally associate with a stout before delivering a soft warming bitter finish. This beer is an absolute triumph, and I’m once again left wondering why I only bought one bottle. As we head into the last quarter, tomorrow’s beer is the Shepherd Neame/Sigtuna Brygghus ‘Barley Wine’ collab but before then check out what else has been going on through Storify below (or on our Storify page) and check the ‘blog directory’ here for the latest writings.